Most airlines and hospitality brands have a comprehensive strategy for competition with each other, but what happens when the very intermediary through which the travel brand engages the customer begins to compete for that customer? Over the life cycle of a given trip, airlines might execute the transport, but did Google get you there? Hotels fulfilled the hospitality, but did Google find the room? Fundamentally, where does the traveller's loyalty lie? There are three types of people in the world: Google employees, Google users and the Chinese (Google is spelt Baidu or WeChat in China; I can't remember, I don't speak Chinese). Truthfully, for those of us outside of China, we’re all employed by Google, but only some of us are paid. Google is winning. And, we love winners until they become our competitors. Google is notorious for killing ventures but in the midst of 2016's house-cleaning Google launched a consumer product Trips; there was a telling trail of Google purchasing ITA, launching Google Flights, Hotels, Ads, Maps. But, most recently (Feb. 2018) Google adds new navigational features in search enabling travellers to toggle between search of flights and hotels at the very top of the SERP without interacting with a branded provider. Most travel brands have participated in Google's eco-system. Now, Google is branding the interaction between traveller and provider. Facebook is trying to build a similar travel eco-system, and will no doubt, follow suit. We form relationships with brands much in the same way we do with people, aggregating information and interactions (information through experience) over time. The same mechanism of bonding and loyalty applies to both. For travel brands, a lot depends on direct contact with the passenger/guest. If a brand is the collective perception of the customers then, no direct customer engagement results in no brand; no brand, no customer loyalty or ancillary retail. The travel industry's lack of commitment for inspiring travellers has created this powerful pre-booking phase in the travel lifecycle known as the Inspiration/Dreaming phase–a phase largely dominated by search. Google has even published studies revealing how important engaging the traveller in this phase of the life cycle is to the booking conversion rate. 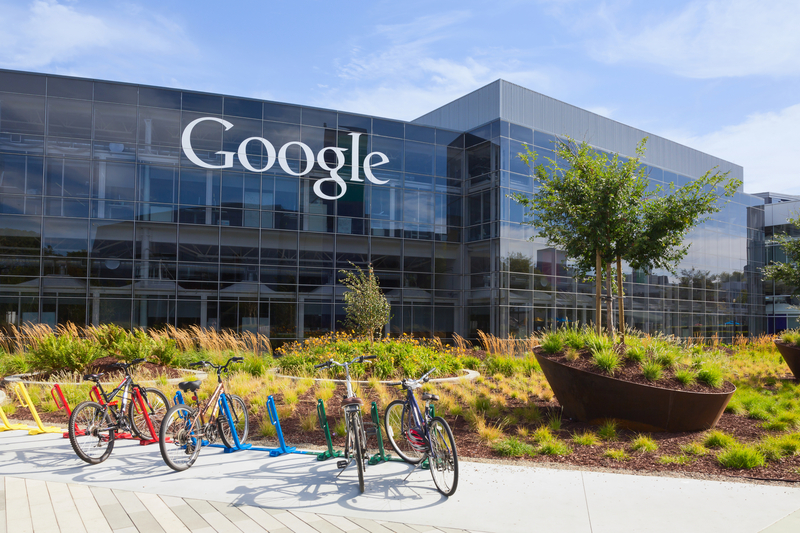 Some thought leaders in the travel space have warned that sharing inventory data with Google around pricing and availability would be the last piece in a Google strategy that will ultimately reduce travel brands to logistics providers. And, while the industry is not there yet, few travel brands have a clear customer engagement strategy to compete with the search engine. Should the travel industry be concerned with Google’s movements in travel? Yes, and yes. Yes, if the relationship between the travel brand and Google is defined as a partnership. The travel brand might be delusional. And yes, if Google is your competitor, because they are formidable. With access to the best inventory (supply/availability) and the best understanding of demand (customer behaviour), Google is dominant in the inspiration phase– frankly, it's surprising Google is taking this long to connect the dots. However, there are travel brands that have forged a strong direct (more profitable) relationship with customers outside the remit of Google. Southwest Airlines and Ryanair, come to mind. Hilton are an exemplar in navigating a digital world with powerful OTAs on one side and intermediaries like Google on the other. In a recent interview, Hilton CEO, Christopher Nassetta stated that regardless of their partnerships with a whole range of large to small intermediaries,“We want to have more direct relationships with our customers.” He went on to say that through direct contact, Hilton can offer the best rates and a more personalised experience. In this regard, Hilton provide the best template for other travel brands to follow. While using the strengths of their competitors to engage broader markets, Hilton always prioritises an aggressive strategy for direct customer engagement. Speak the truth. Any intermediary (like Google) that releases travel products is a competitor. It's not personal; they just want all of your customers, all of the time. That might sound intuitive, but currently, Expedia and Booking Holdings (formerly Priceline) are the two largest proponents of PPC (combining to spend $6 Bn+ a year), meanwhile Google incrementally releases products that are directly competing with these customers. How do you boil a frog? Place the frog in tepid water and slowly increase the heat. By the time the frog senses the danger, it's too late to do anything about it. Copy Google. Google generate insights and revenue from raw data better than anyone. This is Communications 101: what someone shares with you creates a shared "common ground" (watch neuroscientist Uri Hasson). How that information is valued and used, determines the nature of the relationship. Travel brands have made for bad dinner dates over the last few decades, not listening, only talking about themselves–certainly not a relationship you would bring home to meet the parents. This has lead to a one-size-fits-all marketing approach, that is increasingly ineffective with a new breed of digital consumer. With oodles of raw data, travel brands still have the difficult task of gleaning the customer insight and incorporating it into a strategy of personalisation. Insights should provide a direct line of contact (Common Ground) with the traveller, then it's the brand's responsibility to maintain that line and create loyalty with valuable information, offers, customer service, seamless tech experiences etc.,. Understand the travel life cycle. Airlines and travel brands must take a holistic view of travel. Recalibrate their perspective beyond the jetway or the hotel lobby into adjacent revenues. Travel brands can be very efficient and personal when (and only when) a customer commits to their sales funnel. However, (as stated by Google in studies but also in the intent of their products) the battle is won and lost in the Inspiration phase of the travel life cycle. This is where travel brands must engage the customer. LikeWhere's Smart Content Marketing platform combines AI and machine learning with the best local content to enable Airlines and Travel Brands to make personalised destination recommendations, based on the lifestyle preferences of their customer.